You are at:Home»ENTERTAINMENT»Disney On Ice 2016: Magical Ice Festival Tickets Giveaway! Get ready to enter a world of enchantment featuring the most magical moments from across the kingdom in Disney On Ice presents Magical Ice Festival, this school holidays! From 11 March 2016 to 20 March 2016, children and adults of all ages are invited to join in the spirited showcase in a new twist on fairytale fun. This year’s theme, Magical Ice Festival, takes you on a sensational journey with your most loved Disney characters on ice. Experience a medley of Disney movies from The Little Mermaid to Beauty and the Beast, with special appearances from characters of the Academy Award® winning and Number One Animated Feature Film of all time – Disney’s Frozen! It will be a magical mix of royalty when Disney On Ice brings this winsome wonderland to you. Disney On Ice presents Magical Ice Festival produced by Feld Entertainment has kindly sponsored ONE Family Package of a set of 4 tickets (worth approximately $300) for Our Parenting World lucky winner to bring your family to watch the spectacular Disney On Ice show! Terms and Conditions: The date and timing for the show will be confirmed by the organisers at a later date and cannot be changed. Hurry, giveaway will close on 6 March 2016 at 23:59Hr. Winners will be announced through Website and Facebook. Please ensure that Step 1, 2 and 3 are completed in order to qualify for the giveaway. The entries will be verified by the Organisers. This giveaway is only for fans of Our Parenting World (OPW). The tickets are proudly sponsored by Disney On Ice and Feld Entertainment. Thank you so much for your participation in the giveaway by Disney On Ice and Feld Entertainment. Congratulations! Please also refer to Our Parenting World Facebook announcement. We will be contacting you shortly on your tickets collection. Thank you to our kind sponsors, Disney On Ice and Feld Entertainment for the fabulous prizes for our readers. From 11 – 20th March 2016!! Show dates are from 11th March to 20th March 2016! Thank you fir this giveaway. Hope to win the tickets for my March Birthday girl. Ans: 11 March to 20 March. Disney On Ice will be performing from 11 March to 20 March!! i love disney on ice! Hope to bring my family to have our 1st family performance to catch our favourite Disney Characters. The show dates are 11-20 March 2016. The show date is from 11 March to 20 March 2016. My gal birthday is in March too! Hope to win this for her as frozen her favourite! Hope to win the tickets of 4 for my brother and his family who wish to watch but could not afford them. DISNEY ON ICE will be shown from 11th MARCH to 20th MARCH 2016. Thanks OurParentingWorld for the awesome giveaway! Hope to win for my kids, they are really excited to watch this show. The show dates for Disney on Ice Singapore is from 11 March 2016 to 20 March 2016. The show dates for Disney on ice Singapore is from 11March 2016 to 20 March 2016. The show dates are from 11 to 20 March 2016! Hope to win the tickets! Best pressie for my girl’s bday on 20th March! The show dates for Disney On Ice Singapore are from 11 March 2016 to 20 March 2016. The show dates is from 11 March 2016 , Friday , to 20 March 2016 , Sunday ! The show dates is from 11 March 2016 , Friday , to 20 March 2016 , Sunday . From 11 to 20 March 2016. Thank you for the giveaway! Hope to win this and bring a smile to my little one’s face. 11 March 2016 to 20 March 2016. Disney On Ice happens Fri 11 to Sun 20 March 2016. And our family is looking forward most enthusiastically to enjoying the magical moments at Disney On Ice! 11 to 20 March 2016! Hope you to bring my boy to watch live performance Disney on Ice. The show dates are from 11th to 20th March 2016. Answer: 11 March to 20 March 2016. The show dates are from 11-20 March 2016. Thank you Our Parenting World for the giveaway. Disney on Ice will be here from 11 to 20 Mar 2016. 11th March 2016 to 20th March 2016..
11-20 March. Thanks for hosting this giveaway! 11 March to 20 March 2016! Show dates: 11 March to 20 March 2016! The show dates are on the 11th to 20th March 2016. Disney on ice in Singapore starts from 11th march 2016 and ends on 20th march 2016. Liked and shared. The show dates are from 11 to 20 March 2016. 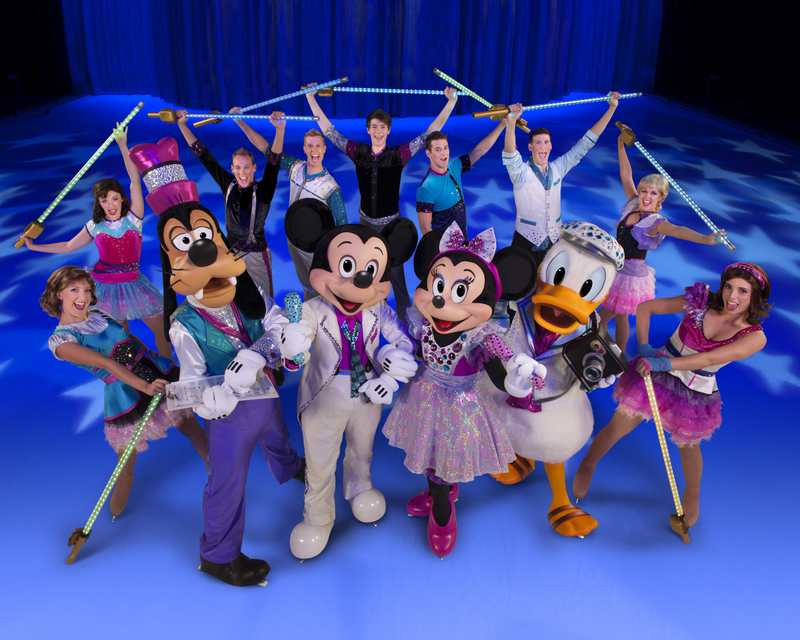 The show dates for Disney On Ice Singapore are from 11 March to 20 March 2016. Show dates will be from 11th March to 20th March 2016. Show dates from 11 March to 20 March 2016. The show dates for Disney On Ice Singapore is from 11 March to 20 March 2016. ⭐️ Thank you for the wonderful giveaway! Really hope to win this and bring a smile to my little one’s face, cos he’ll be thrilled to meet his beloved Queen Elsa in person. It’s very exciting to me too! The show dates of Disney On Ice at Singapore is from date:11th March 2016 till 20th March 2016. Show Dates of Disney On Ice is from 11 March till 20th March 2016 ..
Wishing to be Lucky enough . The show dates of Disney on Ice is from 11 March to 20 March 2016 . Hope to win it for my daughter who loves disney princess! The show dates for Disney On Ice Singapore are 11 March 2016 to 20 March 2016.